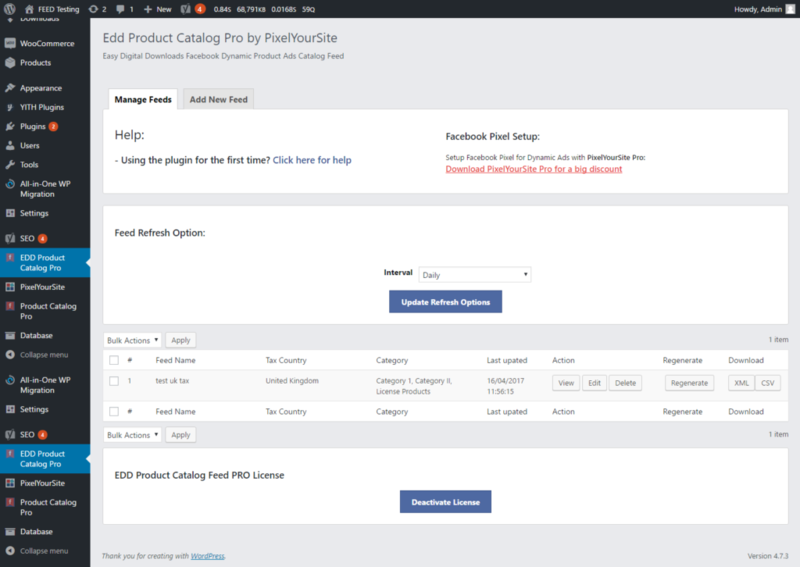 The feed will use your site name as the default value for the brand filed. If you want, you can map it to a different value. 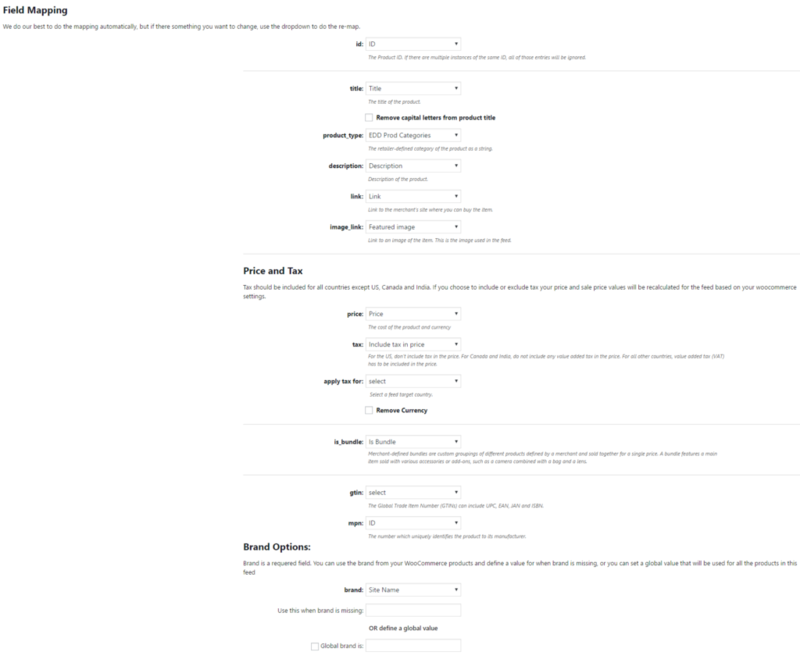 Additionally, you add a fallback value to be used when the selected field is empty. You can also define a global brand to be used for all your products. The plugin will auto-refresh all the XML feeds in a given interval. 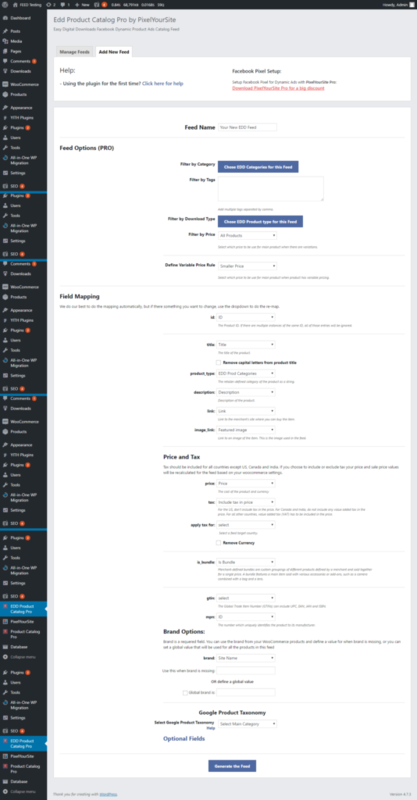 If you have any feeds created they will be visible under the Manage Feeds tab. 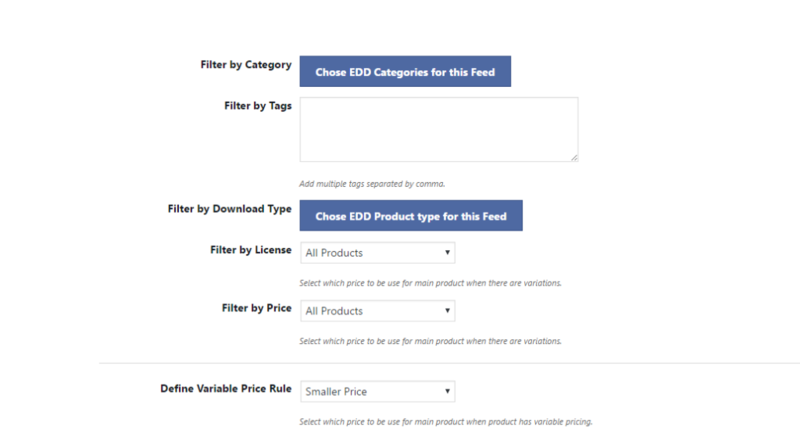 For each feed, you will have a few key data, like feed name, EDD categories and the last time the feed was updated (including the last auto-refresh).